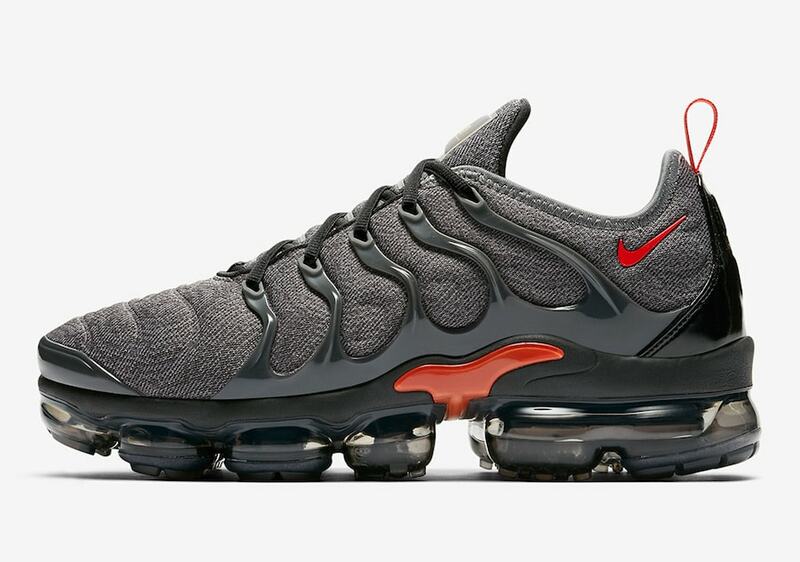 The Nike Air Vapormax Plus is dropping in a sleek new colorway this month. 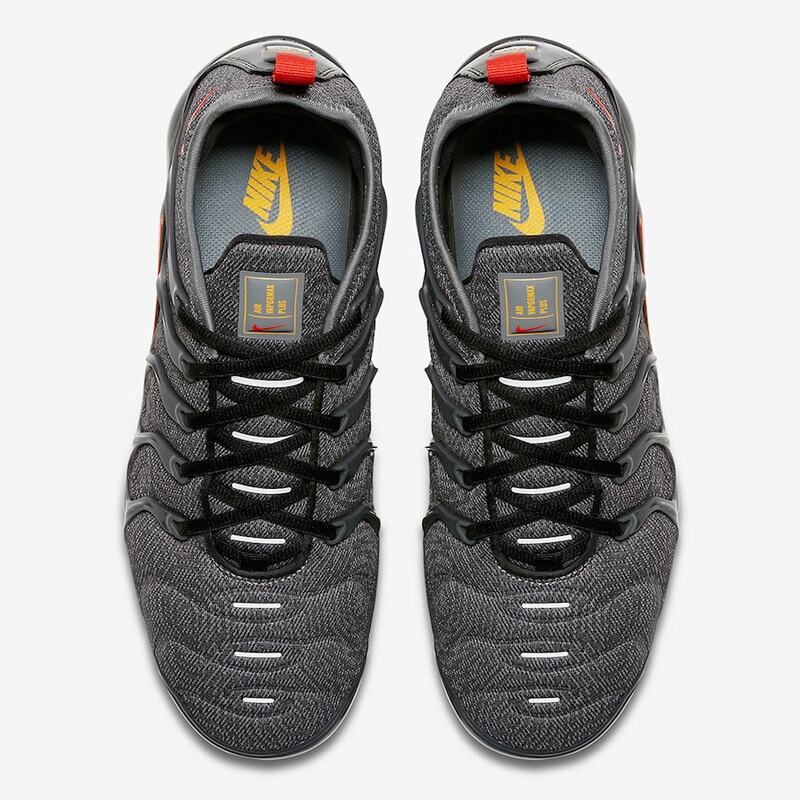 With a handful of great options already available, Nike has some new heat coming soon like the “Slate Grey” fade that is an essential colorway for Spring. Nike’s new Vapormax technology is everywhere. Worn by celebrities and casual sneakerheads alike, the fancy new Air sole is popular. 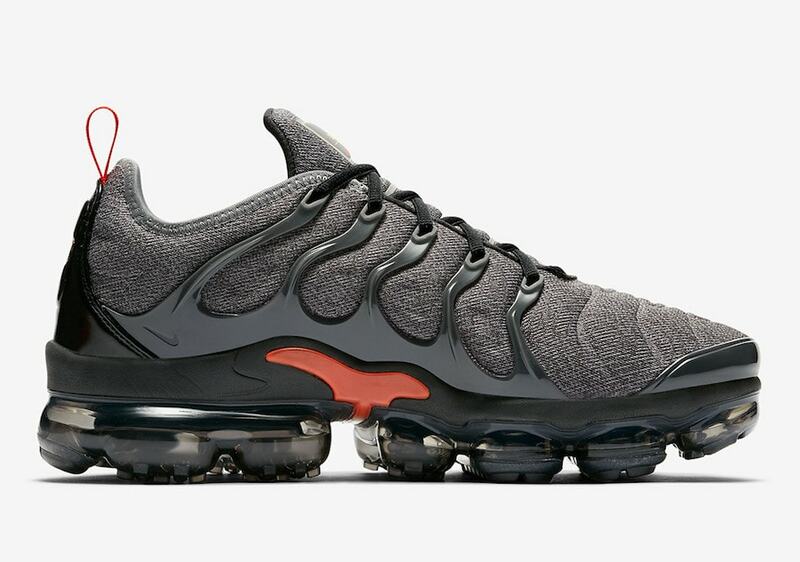 With dozens of Vapormax equipped silhouettes already at retail, the Swoosh is adding two more colorways of the Nike Air Vapormax Plus to the lineup. 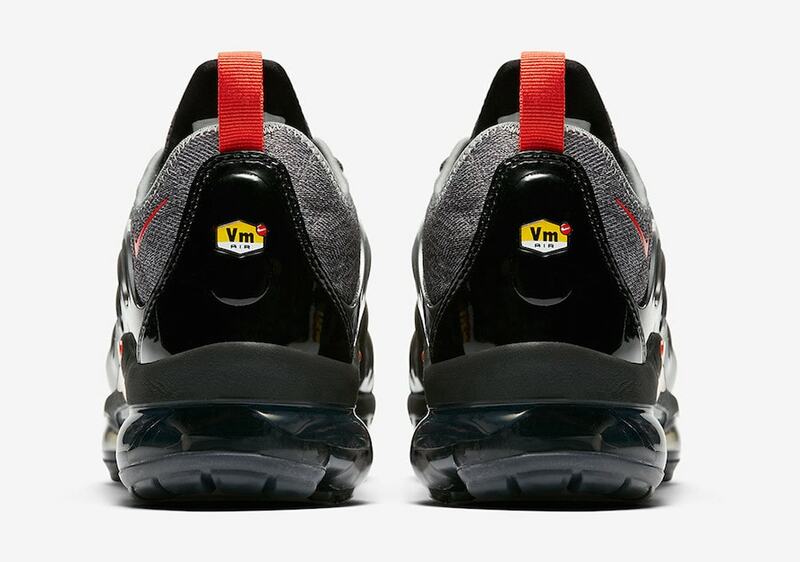 The Air VM Plus marries the upper from one of Nike’s classic Air Max with their latest and greatest technology. 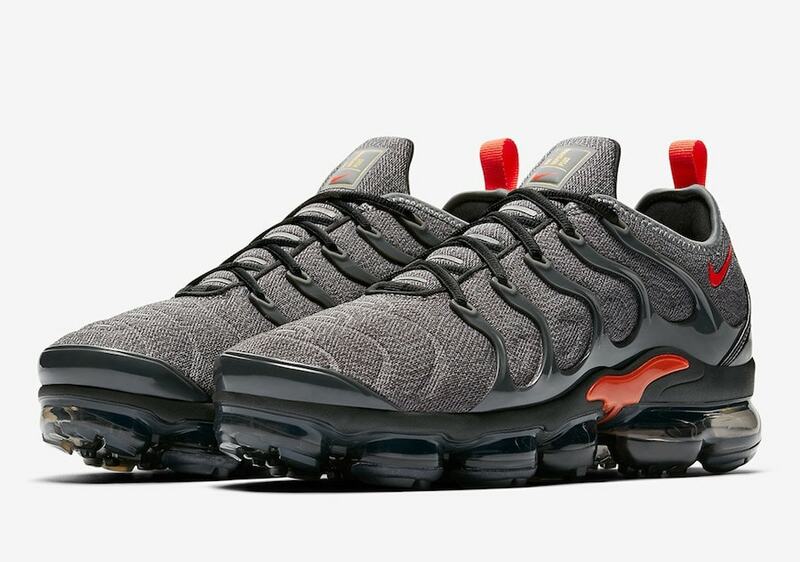 Beginning with a neoprene upper, the Vapormax Plus adds TPU cages to both sides of the shoe for support around the entire foot. The next colorway of the hybrid Vapormax silhouette to arrive at retailers is one of the freshest yet. The upper appears to have taken on a new pattern or even material, and dyed entirely in a dark grey tone. The TPU additions around the shoe come in black to frame the upper, with bright red and yellow detailing to finish off the look. The Nike Air Vapormax Plus in its clean new gey colorway has not been officially announced for release, though it is expected to arrive at both Nike and select retailers soon. The newly reworked color scheme will carry the same $190 retail price as usual. 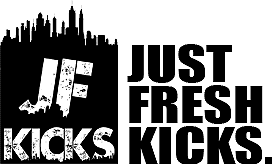 Check out the official images below for a better look, and stay tuned to JustFreshKicks for more Nike Vapormax release news.